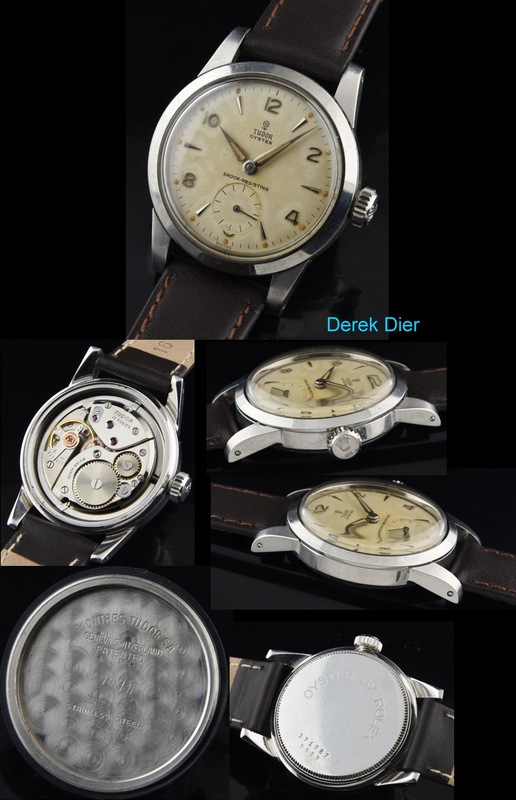 Despite this 1950’s Tudor’s smaller stature, (32mm.) your wrist will still get all the attention from onlookers as they gaze upon the original eggshell-patina dial with steel Arabic numerals and original Dauphine hands! All the luminous is present and great looking. This steel original ROLEX case is is unpolished and fine. The ROLEX winding crown was replaced at some time. The manual winding Tudor movement was just cleaned and accurate. 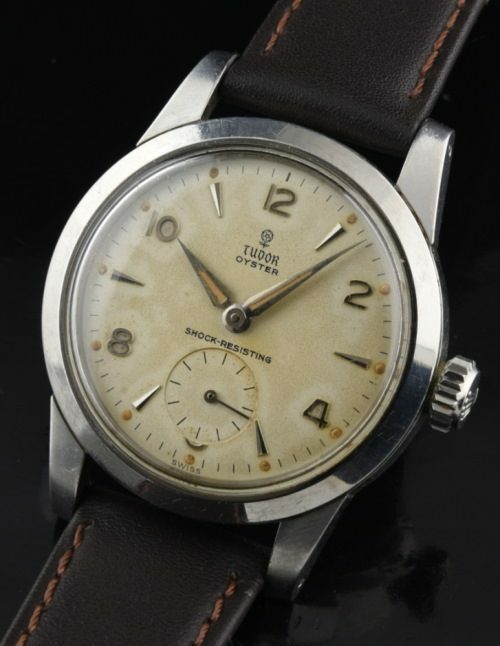 This is one great looking and uncommon vintage TUDOR.